Cannabis Business Summit Draws Big Crowd in Denver. More than 1,200 people attended the Cannabis Business Summit sponsored by the National Cannabis Industry Association in Denver this week. Look for a Chronicle report on it in coming days. Oregon Legalization Initiative to Hand in Signatures Today. It looks like Oregonians will vote on marijuana legalization this November. The New Approach Oregon initiative campaign will hand in 145,000 signatures to state officials today; they only need some 87,000 valid ones to qualify for the ballot. House Committee Votes to Block Decriminalization in DC. The House Appropriations Committee yesterday passed an amendment to the 2015 Financial Services and General Government Appropriations bill intended to prevent the District of Columbia from implementing its recently passed law decriminalizing the possession of marijuana. It also has the potential to end the District's medical marijuana program. The amendment, offered by Rep. Andy Harris (R-MD), passed by a vote of 28-21. Reform advocates will seek a floor vote to remove this amendment from the bill when it proceeds to the House floor. No Vote on Legalization in the Rhode Island Legislature. The 2014 legislative session has ended without the Marijuana Regulation, Control, and Taxation Act never coming up for a vote. Maybe next year. Oakland Shuts Down a Trio of Measure Z Speakeasies. For the past decade, recreational marijuana retail outlets have quietly operated in Oakland, protected by Measure Z, which makes the private use of marijuana by adults law enforcement's lowest priority. But in recent weeks, Oakland police have raided and shut down three of the speakeasies. The police say their enforcement actions are driven by complaints. Two More Cosponsors for the Smarter Sentencing Act. The Smarter Sentencing Act has picked up two more cosponsors, bringing the total to 41, 27 Democrats and 14 Republicans. The latest cosponsors are Rep. Ann Kuster (D-NH) and Rep. Katherine Clark (D-MA). Senate State and Foreign Operations Funding Bill to Include Sentencing Reform Language. Advocates working with Senate Judiciary Chair Pat Leahy's (D-VT) office report that the Senate committee report on the issue will include language making sentencing reform part of US foreign policy and an issue the State Department promotes when working on police training and judicial reform in other countries. Click the link to read the language. ACLU Issues Report on Militarization of American Policing. The American Civil Liberties Union has released a new report on the excessive militarization of American policing, War Comes Home. The report concentrates on the use of SWAT teams, and fnds that 80% of SWAT deployments were not hostage rescue or other dangerous missions, but to serve search warrants, mainly for drugs. The report also examines the abuses associated with SWAT teams. This is strong stuff. Global Demonstrations Against Drug War Today Mark UN Anti-Drug Day. Protestors in at least 80 cities around the world are taking the opportunity of UN anti-drug day to call not for more drug war, but for less. Click on the link for more details. British Khat Ban Now in Effect. The British ban on the East African herbal stimulant plant khat has now gone into effect. There are fears the Somali community will be targeted and that a black market will now emerge. British Doctors Reject Marijuana Legalization, Urge Cigarette Ban for Those Born After 2000. Meeting at their annual conference, members of the British Medical Association rejected a proposal to call for legalizing marijuana, but voted in favor of a ban on cigarettes for people born after 2000. The BMA's rejection of legalization was "both unscientific and unethical," said Steve Rolles of the Transform Drug Policy Foundation. Uruguay's First Grower's Club Begins Registration Process. The Association of Cannabis Studies of Uruguay has registered to become the first officially recognized marijuana growing club in the country. The club headed by Laura Blanco will have 40 members. Joining a club and enjoying the fruits of collective grows is one of three ways to legally obtain marijuana under Uruguay's new law. The other options are registering to buy it from pharmacies or growing your own individually. House Fails to Add Rider to Block DC Decriminalization Law. The House Financial Services and General Government Appropriations Subcommittee approved a familiar series of social policy riders on the District of Columbia budget, but did not include one that would seek to undo the city's recent adoption of marijuana decriminalization. It's not a done deal yet, however; such a rider could still be added during the legislative process. The subcommittee did approve riders barring the District from funding needle exchanges or medical marijuana programs. Delaware Decriminalization Bill Heads for House Floor Vote. A bill that would decriminalize the possession of up to an ounce of marijuana and levy a maximum $250 fine passed the House Public Safety Committee today. House Bill 371 now heads for a House floor vote. Marijuana Policy in the Oklahoma GOP Governor's Race. In next week's GOP primary, sitting Gov. Mary Fallin is up against two longshot opponents who both favor marijuana legalization. Both Chad Moody, also known as "The Drug Lawyer," and Dax Ewbank, a libertarian-leaning Republican, have come out in favor of freeing the weed. But Fallin says that's not on her to-do list: "I just don't see that it provides a substantial benefit to the people of Oklahoma," Fallin said. 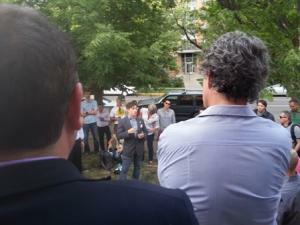 Milwaukee Legalization Initiative Signature-Gathering Drive Underway. A coalition of Milwaukee groups have begun a petition drive to place a municipal legalization ordinance on the November ballot. The measure would legalize the possession of up to an ounce. The groups have until July 29 to come up with 30,000 valid voter signatures. People interested in helping out can get more information here. Philadelphia City Council Votes to Decriminalize Marijuana. The city council today approved a decriminalization measure introduce last month by Councilman Jim Kenney. Up to 30 grams is decriminalized, with a maximum $25 fine. Four years ago this month, the city began treatment small-time possession as a summary offense, with a maximum $200 fine and three-hour class on drug abuse. Activists Gather Twice the Signatures Needed for York, Maine, Legalization Initiative. Activists supported by the Marijuana Policy Project needed 100 valid voter signatures to present a marijuana legalization petition to the York Board of Selectmen. They handed in 200. Similar petition drives are going on in Lewiston and South Portland, and Portland voters approved a legalization referendum last year. The local efforts are laying the groundwork for a statewide legalization initiative in 2016. Sens. 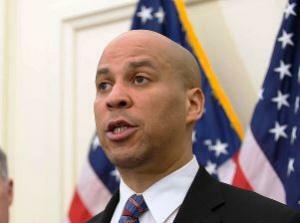 Rand Paul, Cory Booker Cosponsor DEA Defunding Amendment in Senate; Vote Could Come as Soon as Tonight. Sens. Rand Paul (R-KY) and Cory Booker (D-NJ) have cosponsored an amendment to the Justice Department funding bill that would shield medical marijuana patients and providers from the attention of the DEA in states where it is legal. The vote could come as soon as tonight or tomorrow. The House passed such an amendment at the end of last month. New York Governor, Legislature in Tentative Deal as Session Draws to End. With the legislative ticking down its final hours, Gov. Andrew Cuomo (D) and legislative leaders today announced a deal that would allow passage of a medical marijuana pilot program, but would not allow patients to smoke their medicine. North Carolina Limited CBD Medical Marijuana Bill Wins House Committee Votes. A bill that would allow some patients to use a high-CBD cannabis oil was approved by the House Health Committee Wednesday and the House Finance Committee today. Drug Policy in the Colorado GOP Senatorial Race. Former Colorado Congressman Tom Tancredo, who is running for the state's GOP senatorial nomination, is being attacked as a drug legalizer in a radio ad created by a committee supporting former Sen. Mike Copp. While Tancredo supports marijuana legalization and has in the past spoken of the need to consider drug legalization, he says he is not ready to legalize hard drugs and is demanding that the ads be pulled. Vermont Governor Signs Package of Bills Aimed at Opiate Use. Gov. Peter Shumlin (D) Tuesday signed into law a package of bills and executive orders that will ramp up treatment for opiate addiction, but also increase penalties for bringing more than one gram of heroin into the state. The centerpiece of the legislative package is Senate Bill 295, which will fund pretrial screening and drug treatment for suspects before they are arraigned. New York Assembly Set to Approve Package of Heroin Bills. Gov. Andrew Cuomo (D) and key lawmakers announced Tuesday night that they had a deal on a package of heroin bills that would raise awareness of the issue and increase insurance coverage of heroin treatment. What isn't clear is whether they agreement also includes a series of Rockefeller drug law-style measure passed by the Republican-dominated Senate that would increase criminal penalties for some heroin offenses. DC Police Chief Orders No Arrests for Overdose Victims. In a recent memorandum, Metropolitan Police Department Chief Cathy Lanier has instructed her police force to observe protections from arrest and charge granted under a DC law designed to encourage residents to seek immediate medical assistance for a person experiencing an overdose. The Good Samaritan Overdose Prevention Amendment Act of 2012 (#A19-564), which was passed by the D.C. Council in 2012 and took effect on March 19, 2013, provides limited legal protection from arrest, charge and prosecution for those who witness or experience a drug overdose and summon medical assistance. Federal Fair Sentencing Act Picks Up Another Sponsor. And then there were 39. Rep. William Envart (D-IL) has signed on as a cosponsor to the Federal Fair Sentencing Act. That makes 25 Democrats, along with 14 Republicans. It would reduce the use of mandatory minimum sentences and impose retroactivity for crack cocaine sentences handed down before 2010. Britain's Looming Khat Ban Could Create Black Market. A ban on khat is about to go into effect in England, and this report suggests that it could create political tensions in East Africa, as well as creating a black market for the substance in England itself. Albanian Siege of Marijuana-Producing Village Continues. A police assault on the village of Lazarat that began Monday is still underway as clashes continued between police and armed villagers. Some 800 police are involved in the operation, and they say they have seized or destroyed more than 10 tons of marijuana so far. But that's only a fraction of the 900 tons the village is estimated to produce annually. The town's $6 billion pot crop is equivalent to about half Albania's GDP. In a written ministerial statement to Parliament last week. British Home Secretary Theresa May announced that her government was banning khat, a mild stimulant plant from the Horn of Africa widely used by people from the region, some of whom have emigrated to United Kingdom and other Western countries and brought their habit with them. 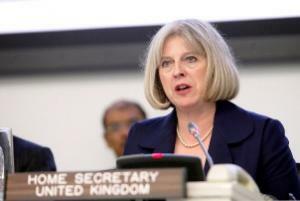 In doing so, May went directly against the advice of the Advisory Council on the Misuse of Drugs (ACMD), the public body charged with making recommendations on the control of drugs. It's not the first time, either. The Home Office has rejected the science- and evidence-based recommendations of the ACMD on at least two other occasions in recent years, on the scheduling of marijuana and ecstasy. Instead, it has taken a more politically popular "tough on drugs" line, ignoring its own experts. In its report on the potential harms of khat in January, responding to a Home Office request for a review, the ACMD concluded that "khat should not be controlled under the Misuse of Drugs Act 1971" because "the ACMD considers that the evidence of harms associated with the use of khat is insufficient to justify control and it would be inappropriate and disproportionate to classify khat under the Misuse of Drugs Act 1971." The harm from khat "does not reach the level required for classification," the experts determined. The ACMD found that "the evidence shows that khat has no direct causal links to adverse medical effects" other than a small number of reports about an association between its use and liver toxicity. While there were some "adverse outcomes" associated with khat use, those outcomes are the result of "a complex interaction of khat with other factors... but not directly caused by khat use." But, while noting the AMCD's considered recommendation, May decided to ignore it. "The AMCD report gives considerable insight into the complexity of this matter and, based on the available evidence, it came to a reasonable conclusion in its recommendations to the government," she wrote. "There are broader factors for the government to consider in making its decision. The decision to bring khat under control is finely balanced and takes into account the expert scientific advice and these broader concerns." 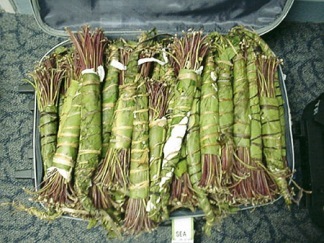 Those broader concerns included pressure from other northern European countries with large East African emigrant populations that have already banned khat, pressure from community health workers who say that khat use contributes to social problems such as family breakdown and unemployment, and pressure from emigrant women, who say their husbands spend too much time and money chewing the stimulant plant. May's reasons weren't good enough for Professor David Nutt, the former head of the ACMD, who was forced out after repeated clashes with ministers over their refusing to heed the body's recommendations. Nutt is now the chair of the Independent Scientific Committee on Drugs, which issued its own report on khat. "Banning khat shows contempt for reason and evidence, disregard for the sincere efforts of the Advisory Council on the Misuse of Drugs," Nutt said. He urged the government "to abandon plans to ban khat and to accept in full the ACMD's evidence-led recommendations of how the relatively low harms associated with this drug could be minimized." But no. The ban on khat in Britain will go into effect within a few weeks, May said. The Dutch conservative coalition government has signaled since January that it intended to prohibit khat, the mild stimulant plant from the Horn of Africa, and now, indications are that the ban will happen soon. But the move is drawing heat from critics who charge it is based more on political considerations than hard science. The proposed khat ban is of a piece with the center-right government's moves to restrict access to Holland's famed cannabis coffee shops -- it plans to ban foreigners from some border coffee shops as early as next month -- and its decision to treat hashish as a hard drug. In Holland, which has seen increasing tension around issues of immigration and assimilation, khat is used almost exclusively by the Somali immigrant community. The center-right government has argued that khat use impedes Somalis' integration into Dutch society and that 10% of the Somali community is addicted to it. 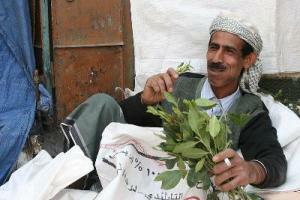 A proposal to prohibit khat awaits only a discussion -- no vote needed -- in parliament before it becomes law. While drug policy is typically handled by the Dutch justice and health ministries, the khat ban is the initiative of migration and asylum affairs Minister Gerd Leers. "I'm involved in the ban because it appears to cause serious problems, particularly in the Somali community," he told Dutch radio in January. "They are lethargic and refuse to cooperate with the government or take responsibility for themselves or their families." But according to the United Arab Emirates newspaper the National, scientists disagree with Leers about khat's impact and danger, and the Somali community, while cognizant of problems associated with khat use, sees the move as immigrant bashing. "There is a sense that it may be more symbolic for political reasons rather than aimed at improving our situation," said Mohamed Elmi of FSAN, the umbrella organization of Somali associations. "You can regulate or register or you can handle the problems with distribution in another way," he said. "The Somali community has many problems that need to be tackled and I don't see them doing anything about those." Elmi scoffed at the government's assertion that 10% of the 25,000 Somalis in the country have a khat problem, saying the number of khat users is half that and "only a handful" are problem users. Researchers at the Netherlands Institute for Mental Health and Addiction backed Elmi's stand. They studied khat use for the government and reported the number of problem khat users as several hundred, but added that in many of those cases, in was khat in combination with hard drugs or alcohol to blame. "We made very different recommendations based on our study," said study coauthor Clary van der Veen. "The large group of social users is not a problem. You may need to inform them better and point out the long-term effect, just like with smoking and drinking," she said. She also questioned whether a ban on khat would truly help the integration of Somali immigrants. "In countries where khat has been banned, the integration of Somalis is not faring better," she said. The government's ban is also drawing criticism from the former head of the Dutch police union, Hans van Duijn, who has become a prominent critic of both the Dutch government's "lurch to the right" and the war on drugs. That the idea of the ban is to help integrate Somalis was "nonsense," he said, as were government claims it was responding to pressure from other European countries where khat is illegal. "They are using a lot of misleading arguments, such as recently when the center-right argued for a ban on the sale of hashish because it was said to benefit North-African criminal gangs and the Taliban. As if by banning the sale of hashish in Dutch coffee shops this would end," he said. And prohibition never works, anyway, van Duijn noted. "The dealers will try hard to find a solution because they now stand to make more money, which will not benefit the user. It is a mystery to me what the benefits are." In keeping with the regressive turn Dutch drug policy has taken under its conservative coalition government, the Dutch government said Tuesday it will ban khat, a plant used by people from the Horn of Africa and the Arabian peninsula for its mild stimulant properties. "Health Minister (Edith) Schippers will soon place khat on list II of the opium law. This will make possession and trade in khat illegal," said a joint statement from the Dutch interior affairs, security and justice and health ministries. The ban is designed to serve a dual purpose for the Dutch. First, it is aimed at reducing domestic khat consumption, mainly among Ethiopian and Yemeni immigrants. Dutch officials said social problems, including high unemployment in the Somali community, prompted the ban, although it's not clear how banning khat will boost the jobs picture for immigrants. The Dutch said that more than 800 tons of khat were imported into the Netherlands last year, 80% of which was exported to other European countries. Swedish police welcomed the Dutch action, saying they suspected profits from the trade were going to finance militants like Al Shabaab in Somalia. Swedish police estimate that 200 tons of khat are smuggled into the country each year. "Smuggling to Scandinavia is quite substantial... we catch smugglers on the Swedish border several times a week, though probably 9 in 10 transports get through," Stefan Kalman of the Swedish police drug squad told Reuters. "This ban means a huge change for us. I expect the numbers to go down now, as smuggling becomes more difficult," he added. The Dutch khat ban is in line with the government's crackdown on the sale of marijuana and hashish. The number of cannabis coffee shops there is declining, and a ban on foreigners in coffee shops is set to begin going into effect this year. British Home Minister Alan Johnson told parliament on Tuesday that the government will seek to ban the synthetic stimulant mephedrone by April 16. The announcement comes after the Advisory Council on the Misuse of Drugs (ACMD) recommended last Friday that the drug be placed under the purview of the Misuse of Drugs Act. "As a result of the council's swift advice, I am introducing legislation to ban not just mephedrone and other cathinones but also to enshrine in law a generic definition so that, as with synthetic cannabinoids, we can be in the forefront of dealing with this whole family of drugs," Johnson told parliament. "This will stop unscrupulous manufacturers and others peddling different but similarly harmful drugs." The ACMD called for mephedrone to be scheduled as a Class B drug, with penalties of up to five years in prison for possession and 14 years for sales. Other Class B drugs include marijuana, amphetamines, and Ritalin. Johnson also announced an immediate ban on the importation of the drug. It had been imported to Great Britain for sale as a plant fertilizer. Mephedrone is derived from cathinone, the psychoactive ingredient in khat, the herb chewed in the Horn of Africa and the Arabian Peninsula. Khat produces a mild euphoric high similar to that from a couple of cups of expresso, but users have likened mephedrone's effects to those of cocaine or ecstasy. It has exploded in popularity in Britain in the past year, where it is known under a number of nicknames, including M-Cat and meow meow. About two dozen deaths where mephedrone use was implicated have been reported so far in Britain, but it is unclear whether mephedrone itself caused any of those deaths. But that hasn't stopped prohibitionists from responding as they do to any new drug: Ban it! That response doesn't sit well with former ACMD head Professor David Nutt, who was sacked last year following repeated criticism of the government for ignoring the group's recommendations and favoring politics over science in making drug policy. In an interview with the Evening Standard, Nutt called for "some sort of regulated use for MDMA or mephedrone where people, maybe in clubs, could have access to small amounts, safe amounts under guidance". Such a policy would "probably be safer than what we're doing at the moment," he said. "For me, as a father with four children, aged 18 to 26, the drug that I know could kill my kids is alcohol. It is the drug that has caused the most damage to my kids' generation," he explained. Nutt also criticized the ACMD for jumping on the ban bandwagon. "The ACMD could say that one confirmed death is enough evidence to make mephedrone a controlled drug, or they could say they believe in the precautionary principle, but neither of those is scientific and if they do go down that route then they will have lost scientific credibility. It is an open question whether mephedrone is more or less harmful than MDMA. We really don't know, but I would say that they are probably similar," Nutt added. Meanwhile, street dealers are stocking up on meow meow in anticipation of price increases under the looming prohibition regime. Pressure to ban the "legal high" mephedrone is rising in the United Kingdom, especially since it was linked to the deaths of two teenagers on Sunday. But the former head of the Advisory Council on the Misuse of Drugs (ACMD) is urging the government to move with caution, and perhaps to create a new drug classification for new drugs whose effects and dangers are not well understood. Mephedrone is an amphetamine-type stimulant derived from cathinone, the active ingredient found in khat. When chewed, as is the custom in the Arabian Peninsula and the Horn of Africa, khat delivers a mild stimulant buzz that has been likened to drinking a cup of coffee or strong tea. But mephedrone, which has exploded in popularity in the last year or so in Great Britain, delivers a high that users liken to ecstasy or cocaine. Known as M-Cat and meow-meow, among other nicknames, mephedrone is reportedly becoming a favorite alternative to ecstasy on the British club scene. It is available online and in head shops in tablet, powder, or liquid form, with a dose running between $20 and $30. It has been linked to three deaths, including the two on Sunday, but it is not clear that any of those deaths were directly caused by mephedrone. The 18- and 19-year-old men who died on Sunday, for instance, ingested alcohol and methadone, as well as mephedrone, during a night of clubbing. And the cause of death for a 14-year-old girl who died last year after taking mephedrone was listed as bronchial pneumonia, not mephedrone overdose. According to the British newspaper The Guardian, Home Office drugs minister Alan Campbell has said he will move to take "immediate action" after receiving advice from the ACMD at the end of the month. The ACMD already has mephedrone on its radar, having held an evidence-gathering meeting on the drug on February 22. Campbell spoke amidst a rising clamor for an immediate ban from anti-drug campaigners and school head teachers. Campbell insisted that the Home Office was ready to "act swiftly," but not too swiftly. "It is important we consider independent expert advice to stop organized criminals exploiting loopholes by simply switching to a different but similar compound." But former ACMD head David Nutt, who was sacked last year after repeatedly criticizing the government for valuing politics over science and evidence in its drug scheduling decisions, said mephedrone should stay legal for now and that Britain should consider adding a new category to its drug scheduling scheme. "To make it illegal without proper evidence of harm would be wrong and might have unwanted consequences, such as a switch to more dangerous drugs or alcohol," Nutt said. There is an alternative, he added. "One approach would be a new class in the Misuse of Drugs Act -- the class D model, adopted in New Zealand to deal with BZP. This is a holding category where drugs can be put in place before they are well understood: sales are limited to over-18s; the product is quality-controlled so users know what they are getting; and it comes with health education messages." Knowing the Labor government and its record when it comes to drug scheduling, however, chances are that mephedrone will be banned by summer. Right now the DC Council is considering wasting time and money on criminalizing a substance called khat. Khat has effects similar to a cup of coffee. Tell them that criminalizing khat is wasteful and unnecessary! What if you woke up one morning and suddenly your daily cup of coffee was illegal? It probably sounds like a joke, but don't be too sure. Even as the rest of the country is beginning to rethink its drug policies, DC is considering a bill that would take the drug war to an even more ridiculous extreme. Right now, the DC council is considering pouring countless hours and your tax-payer dollars into banning a substance that has effects similar to a cup of coffee. For thousands of years, East African communities have carried on the custom of chewing or making tea with a plant called khat. There is no good reason for the Council to single out this one community by banning a harmless plant that comes from their home country. This ban is a mistake, but today you can do something to stop it: Write to the DC Council today and urge them to stop the prohibition of khat. This ban is up for a discussion on June 30, so your letter now could make all the difference. In just a few minutes, you can help defend our local communities from needless harassment and discrimination. Thank you for joining us in this fight! Khat is a Harmless Plant. So Why is D.C. Trying to Prohibit it? Khat use is such a total non-problem that many people don't even know what it is, thus I should probably explain that khat is a mild stimulant used similarly to coffee in parts of East Africa. It isn't dangerous or particularly popular in the U.S., so the drug's prohibition under federal law can be attributed almost entirely to ignorance and racism. Seriously, the arguments against khat are so weak and sparse that law enforcement officials have resorted to the factually-vacant implication that khat might be funding terrorism. Tragically, the D.C. City Council has thus far failed to grasp the absurdity of all this and will be banning khat entirely within a matter of weeks if we don't stop them. If you live in D.C. please click here to tell the council that prohibiting khat doesn’t make sense.